Patience Tackett-Moore of Venetie, Alaska, a tiny Athabascan village perched above the Arctic Circle, models a sparkly dress sent to Alaska with help from the Cinderella Project of Maine. Teens from Maine worked to get donated dresses to Alaskan teens to help them put on their first high school prom. Students from Venetie, Alaska pose with teacher and Belfast native Keely O'Connell (second from right) at the high school prom. 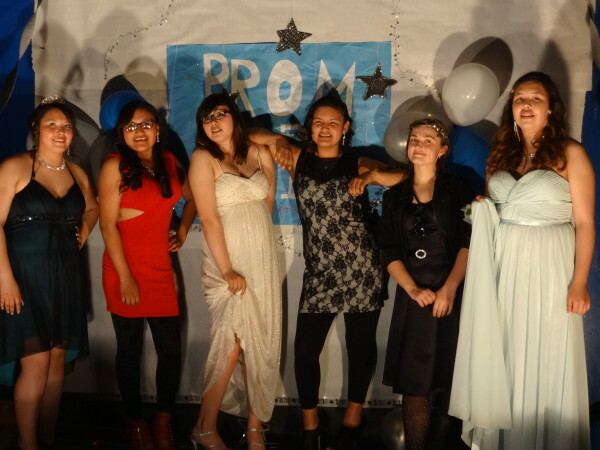 Maine teens worked to help send donated prom dresses to the Alaskan teens, who dreamed of putting on their first prom in the tiny village above the Arctic Circle. BELFAST, Maine — Keely O’Connell, who grew up in Belfast, teaches school in Venetie, a small Athabascan village in Alaska that is above the Arctic Circle and not accessible by road. But even though the 200-person town is a world away from the hustle, bustle and conveniences of the lower 48, the girls in her school dreamed of bringing one teenage tradition from the south to the north — the prom. O’Connell said she was “kind of resistant” to the idea at first. By the time they started talking about it, it was March, and there was no extra student activities money left in the school.The school was small, with just 65 students in kindergarten through 12th grade. And anything special, such as pretty dresses or corsages, would need to be ordered a month in advance. But O’Connell reckoned that without the Cinderella Project of Maine, a Belfast-based nonprofit organization that aims to unite Maine teens with free prom dresses. In return, the group asks the girls to pay the favor forward by volunteering or just doing something nice for someone else. O’Connell’s dad, Kevin O’Connell, contacted the Cinderella Project to ask for help getting dresses in a hurry. Tabitha Lowe, the community projects manager for the organization, said that because the group’s service area is just Maine, she felt sad that she couldn’t directly help. The teens from Belfast Area High School said yes, and they went to Hussey’s General Store in Windsor to pick up some donated dresses. Then Lowe and other “fairy godmothers” went through those dresses and matched dresses to the size information Keely O’Connell sent about her girls. That wasn’t so easy, the teacher said. Three days later, a giant flat-rate mailer box arrived in Venetie, packed with 22 beautiful gowns. The Belfast fairy godmothers had included nine extra dresses in case they didn’t have the sizes right, which O’Connell said have been put away for next year’s prom. Her students generally wear jeans and hooded sweatshirts, and at first, wearing glittery, pretty dresses made them feel shy. When they got on a chair and wiggled around in front of the mirror — there are no full-length mirrors in the village — it took them aback. A few days later, the girls took showers at her house — it is one of only three buildings in the village with running water — and donned the dresses. They went to the gym they had decorated with balloons, lights and hanging stars. There, they spun music, danced and played laser tag. The school opened up the dance to grades seven through 12, but for the first couple of hours, only one boy attended, O’Connell said, and then a few more trickled in the door. One of the seventh-graders brought a 12-inch grayling fish he had caught to the prom, so it could have a good time, too. 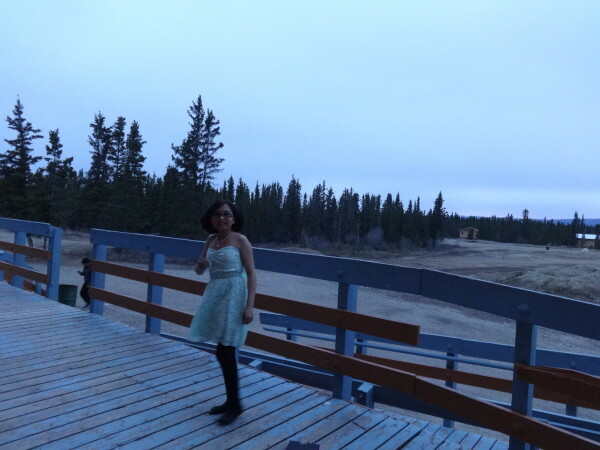 She said that the improbable $600 prom, held in a subsistence village where people hunt geese, ducks and migratory caribou and go to the woods to get wood to survive in the winters, meant everything to the girls. The box of dresses sent from faraway Maine helped to make it all possible. Lowe said that when she read O’Connell’s description of the prom out loud to her staff in Belfast, it was an emotional experience.